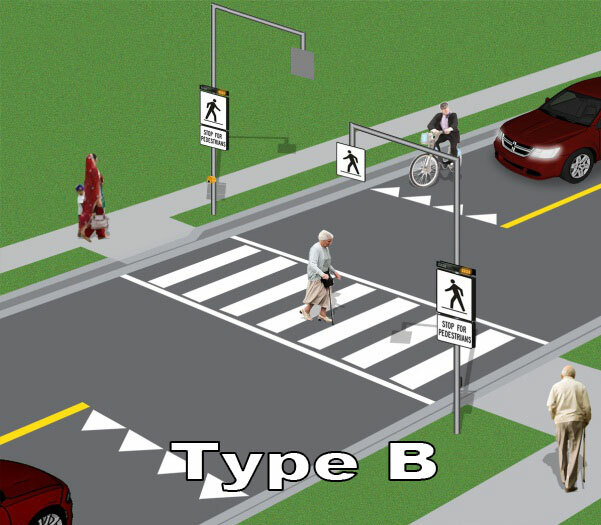 A new provincial law was enacted on January 1, 2016 as part of Bill 31: Making Ontario’s Roads Safer Act that provides municipalities the ability to install pedestrian crossovers. 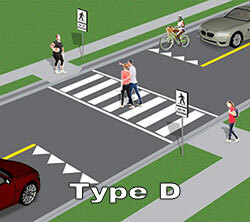 Pedestrian crossovers are a new way for pedestrians to easily and safely cross the road. 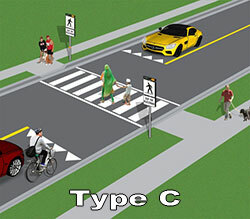 By law, drivers and cyclists must stop and yield to pedestrians intending to cross the road, and wait for them to completely reach the other side before driving. Pedestrian crossovers are marked by signs and pavement markings, and in some cases, pedestrian-activated flashing lights. 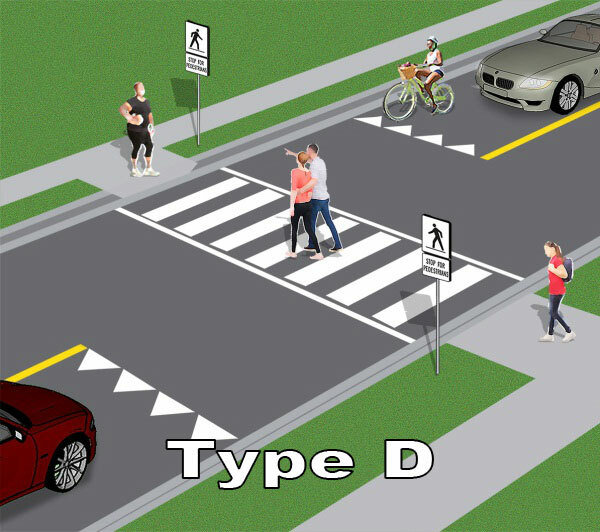 There are three new types of pedestrian crossovers. Each crossover has the same rules of the road. Always have roadside signage that says "Stop for Pedestrians"
Must not enter the crossover when it may be impractical for a driver to stop. Make eye contact to ensure that driver sees you and acknowledges that you intend to cross the road. It is the responsibility of both drivers and pedestrians to understand and follow the rules of the road. 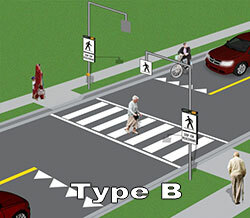 All road users must obey pedestrian crossover rules, and laws are in effect at all times. Fines for offences vary from $150 to $500 and 3 demerit points. Pedestrian crossovers may not appropriate if there is crosswalk within 200 metres of the study location. Each site is reviewed on a case-by-case basis.